From left: Satish Kumar, provisional candidate Liga Gukisuva and Party Leader Savenaca Narube. 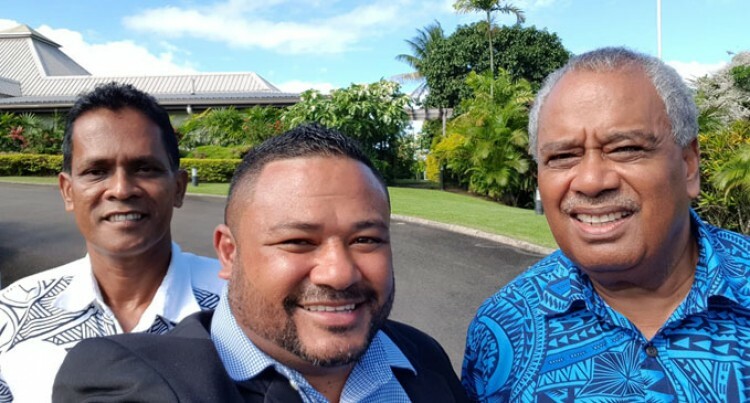 The Unity Fiji Party will submit its candidate nomination list to the Fijian Elections Office today. General secretary Satish Kumar confirmed that the party would only be submit­ting 40 candidate names. “We are working on finalis­ing all the nominations and candidates accordingly, we aim to fill in about 40 candi­dates,” he said yesterday. “Forty is a good number, we only need 20 seats to form a Government. After the submission of the party candidates nomination list to the FEO, Mr Kumar said the next thing would be the official launching of the party’s manifesto. “We just want to advise all voters to make good deci­sions, make an informed de­cision and whatever it is we will respect that,” he said. Fijian Elections OfficeUnity Fiji Party.